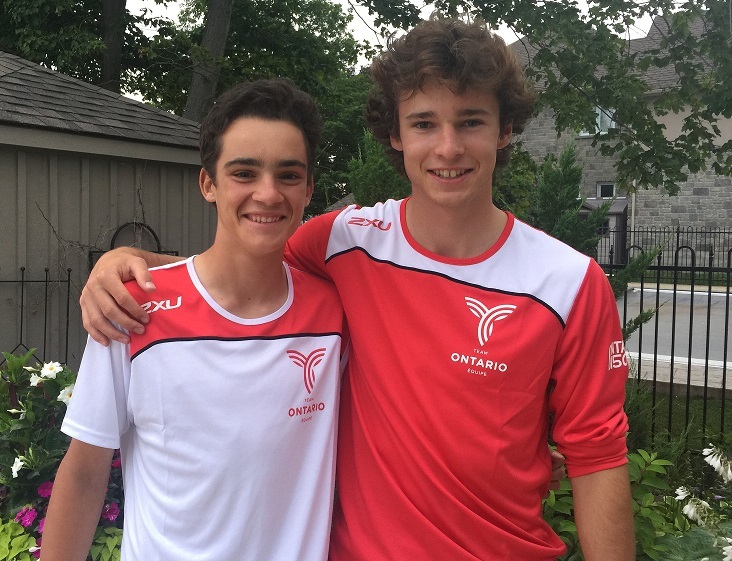 Congratulations to Galen Richardson and Jake Adair for their qualification to the Canada Summer Games! A blonde stout (also known as a golden stout) achieves an almost magical juxtaposition of appearance and experience, by infusing a brilliant, clear golden ale with stout-like aromas and flavours of coffee and cacao. A mild sweetness is contributed by the lactose that gives milk stout its signature character. Their wines typify this glorious region with their purity of fruit, depth and minerality. They are dry wines that adapt better to food than any wines I can remember, and will go well with Chef Neils Garlic Herb Stuffed Supreme Weekend Dinner Feature. The English version of their website is almost as hard to read as their wines are easy to drink, but the heart of the matter is this. Paul brings to his work years of experience and a dedication to the tried and true traditions of Alsace winemaking. In turn, his son Phillipe incorporates his years of learning and the best of modern winemaking techniques. In the end, rather than a fist-fight, they have arrived at a harmonious and balanced approach to making great wine. If you think this is all talk, try a bottle. I have found that silences all the critics. These are wines of rare quality and the prices we are able to pass on give testament to the fact that great value can still be found in France. The winery is located in Eguisheim. The Eichberg vineyard is planted on calcareous clay soils situated mid-slope. The tangy mineral and steel notes sit well alongside primary flavours of grapefruit, apple and lime. There is subtle power and concentration here, hidden behind a veil of lifting acidity. | We are halfway through the Summer! Casino Night was a huge success last night. Thank you to all those who attended and enjoyed games of Black Jack, Roulette, and Texas Hold'Em . Thank you to the sponsors for the raffle prizes and table sponsorship. Lastly, the JS Committee would like to thank the Instructor staff led by Grace and Elizabeth who worked hard to make this special event so successful and enjoyable! Our race teams look awesome in their new gear!! A big thank you goes out to the Keilty family and Marine Outfitters for sponsoring our teams this year! Last weekend, all the Race Teams attended away regattas which is always exciting. 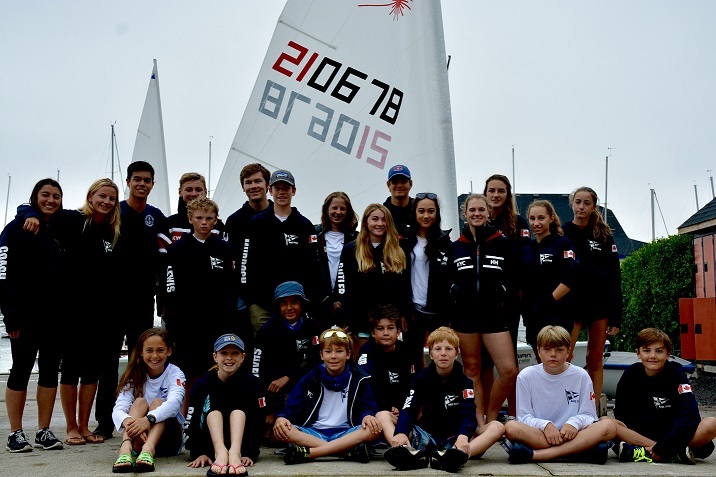 The Opti and Laser LTR and Race Teams attended Fruitbowl at Hudson Yacht Club, while the 420 LTR and Race Team attended the Four Sisters Regatta at Port Credit Yacht Club. The Optis sailed well and had fun, highlights were James Fair placing 5th in the Championship Fleet. Jonah Fy and Henry Garrett both got sailed well in Green Fleet and managed to get a couple of bullets! Thank you to Coach Julia! With the 420's, Jane Butler / Anna Beyak placed 9th, Grace Augspurger / Ella Rose Panting 24th, Claire Bechard / Anna Lafleur 25th, and Lewis Crighton / Tristan Gervais 30th out of a 50 boat fleet. The 420's are currently finishing up at the North Americans at Buffalo Canoe Club, we wish them well for their last day of racing! Thank you to Coach Naomi for all her hard work with the 420 Team. Dinghy Race Night continues this coming Monday. Meet at KYC at 5:00pm to rig for a 5:30 skippers meeting and 6:00pm first race. KYC 420s are able to be used for this fun racing! Olson 30 North Americans: 1st Ritalin (Hull) in fleet of 5 boats. 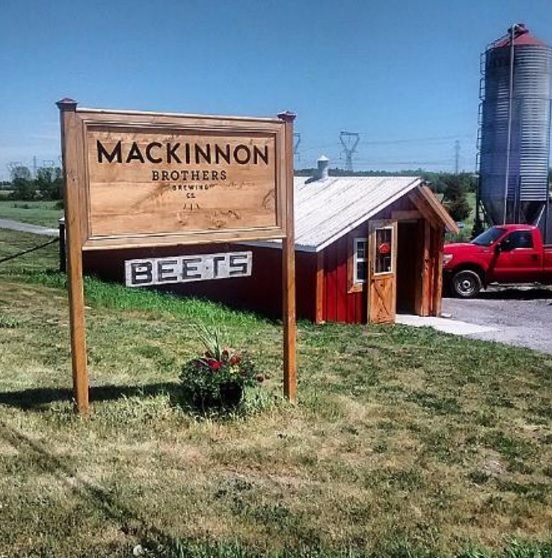 Congratulations, Mike and crew! Shark Worlds in Toronto: 5th JLS (Van Rossem), 8th Shadfly (Raddon), 18th Cariad (Gummer), 33 Inevitable (Wynne-Edwards) in fleet of 47 boats. Well done, gang! The number of Skippers who sail our Community Club (KYC Owned Keelboats) continues to grow. 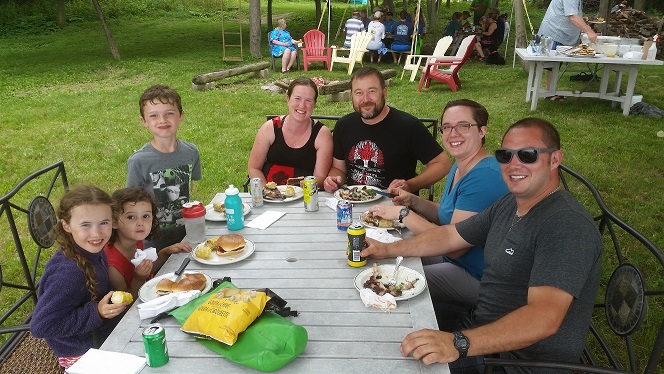 Our C&C 24 'Jessie' is popular and can be reserved to sail during the day and stop overnight (locations such as Cedar Island, Jemmett's Landing or Collins Bay.) Jessie has 25 Skippers who are also Shark Skippers. In total, there are more than 50 Skippers who share our KYC Owned Keelboats using an on-line reservation system which is visible to all members when you log in and click on Community Club. The 2017 Policy and Procedures Manual for KYC Owned Keelboats includes a form to apply to become a Skipper. Link is avaible here. "Breakaway J" and crew traveled to their second out of town regatta of 2017 last weekend, the Great Lakes J-Fest regatta /Hans Fogh Memorial J/80 Lake Ontario Championship, hosted by ABYC in Toronto. The "Breakaway J" team was able to to put together a solid 2 days of racing in a very competitive J/80 fleet scoring 1,1, 1, 1, 2 over the five race regatta. In terms of the sailing itself, Saturday was a real mental work out with 2 races sailed in a light/shifty 5-8 knots of breeze after a 5-hour postponement waiting for wind. The Sunday ended up being a physical workout with 3 races sailed in SE 15-20 knots and a significant easterly swell + chop seeing the knotmeter tipping at over 16 knots at times! Sorry to say that the Toronto boats left disappointed ;), but we may see a few visiting J/80's coming to train at KYC next year! 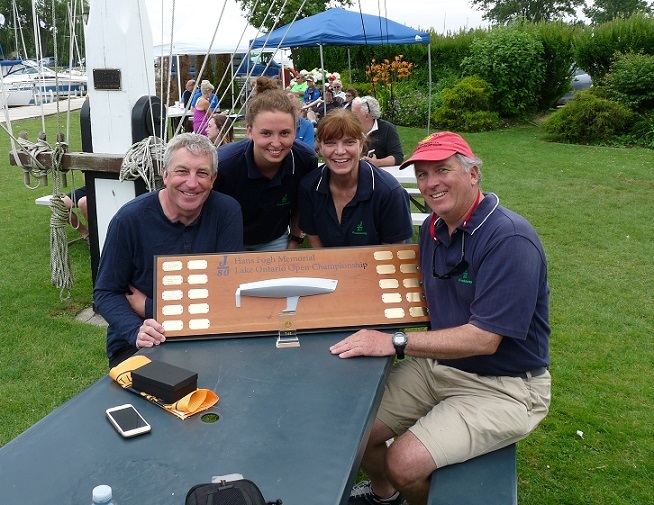 Congratulations to Hugh McGugan and crew Steve Black (KYC - everyone knows Steve), Natalie Tanczak (KYC - Queens Sailing Team) and Barbara Jones (ABYC past commodore) on an outstanding weekend of sailing representing KYC! This past weekend many KYC members including Race Officer Ross Cameron and Event chair Tim Garrett took part either as competitors or volunteers in the Etchells Canadians and the Olson 30 North American Championships. Congratulations to the Olson 30 North American Champions Mike Hull and the Queen's sailing team members Connor MacKenzie, Sam Thompson, Zac Baum, Matti Muru, Clifton Kartner. In 2nd place O Naturel- Bruce Rand, George Jackson, Ann Rand, Ania Krazewski, Shirley Wildenbeast, James Colburn. The volunteers, Etchells and Olson 30 fleets enjoyed a great Saturday night Band and BBQ at the club. Thank you to everyone who helped make this event a great success! After three challenging days of racing, Force 10 finished first in Division 1! Thursdays long distance race started off windy, but then quite down to tough wavy conditions with less wind, but we managed a 2nd in our fleet, and 5th out of ~20 spinnaker boats. Friday only saw one race with a huge shift that left the race course in beam-reach condition in both directions before dying completely. Saturday saw winds approaching 20 knots, with big lake swells, otherwise known as Force 10 conditions. We were clean ahead in 1st for both races to claim the title. KYC is on deck to host EYC in July of 2018, and we are already starting to think of how best to represent our club and our city. Very soon we will need to get a committee together to start planning for a successful event.